said Fr. Peter, a Catholic Rector at the Ecumenical Commemoration of 500 Years of Reformation. 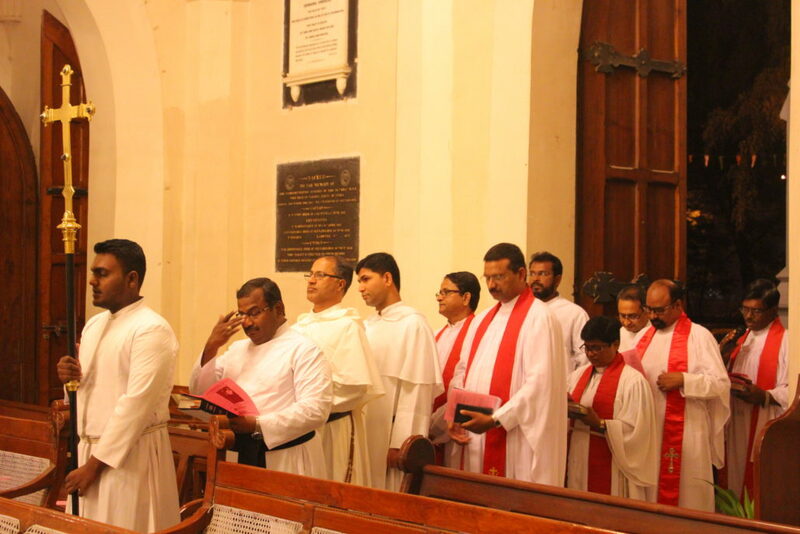 The Churches and the Christian Communities and Organisations in Nagpur gathered together at the All Saints Cathedral of the Church of North India in Nagpur, to participate in a commemorative Eucharist worship on 31st October 2017 at 6.30 pm. remembering Martin Luther and his colleagues, who advocated reformation in the Church 500 years ago on the same day. Over hundred people, including persons with disabilities, clerics, theologates, mission and social workers, participated in this ecumenical worship representing different ecclesial confessions from Roman Catholic, Orthodox, Methodist, Lutheran, Church of North India, and Free Church Traditions. Pillay was speaking as the WCRC, which groups more than 225 Protestant churches worldwide, formally associated itself with the Joint Declaration on the Doctrine of Justification, originally signed by the Lutheran World Federation (LWF) and the Roman Catholic Church on 31 October 1999. “Catholics and Lutherans stated that a ‘consensus in basic truths exists between Lutherans and Catholics’ in regard to the theological controversy with was a major cause of the split in the Western church in the 16th century,” said Bishop Brian Farrell, secretary of the Vatican’s Pontifical Council for Promoting Christian Unity during in the ceremony. The declaration stated that mutual condemnations pronounced by the two sides during the Reformation do not apply to their current teaching on justification. 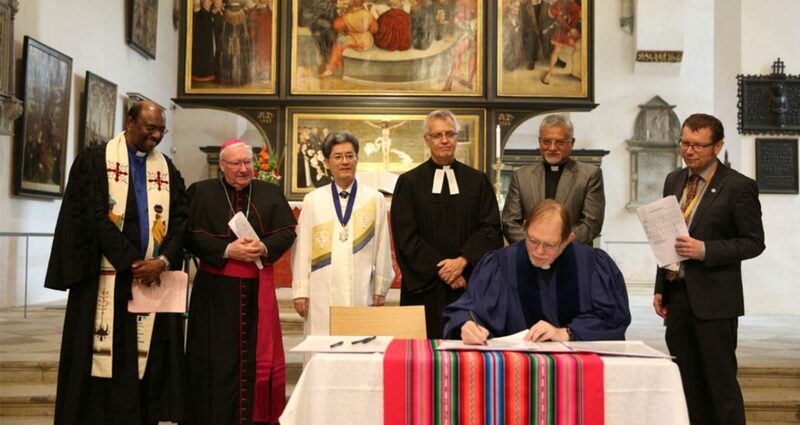 The congregation at Wittenberg’s Stadtkirche (Town Church), broke into spontaneous applause as WCRC General Secretary Chris Ferguson and Catholic, Lutheran and Methodist representatives signed a statement confirming the WCRC’s association with the joint declaration. 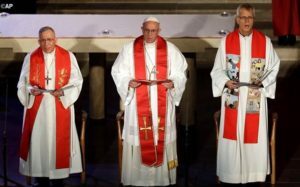 The ceremony took place in the year marking the 500th anniversary of Luther’s denunciation of church corruption in his 95 Theses, an event that helped set in motion the Reformation and centuries of division between Protestants and Catholics. 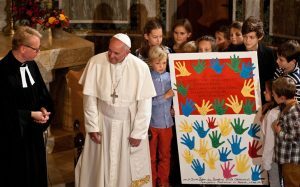 “The present achievement and commitment are viewed by Catholics, Lutherans, Methodists and Reformed as part of their pursuit of the full communion and common witness to the world which is the will of Christ for all Christians,” said WMC president Jong Chun Park. During the service, the LWF and the WCRC also signed a “Wittenberg Witness” pledging to strengthen cooperation and joint action. “We commit ourselves to redouble our common efforts to embody our unity, together resisting the forces of injustice and exclusion,” said Martin Junge, LWF general secretary. At the service there were prayers of repentance and lamentation for past divisions and wrongs, and commitments to work for unity and justice. 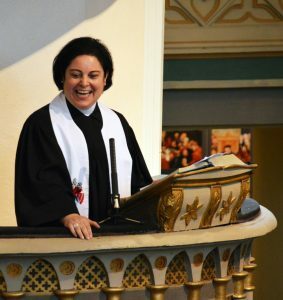 “The Reformation taught us accountability,” said Kassab in her sermon. All human beings are valuable in the eyes of God no matter what their colour or gender or race or passport, she said. The ceremony in Wittenberg took place during the WCRC General Council which has brought about 1000 participants to the eastern German city of Leipzig.